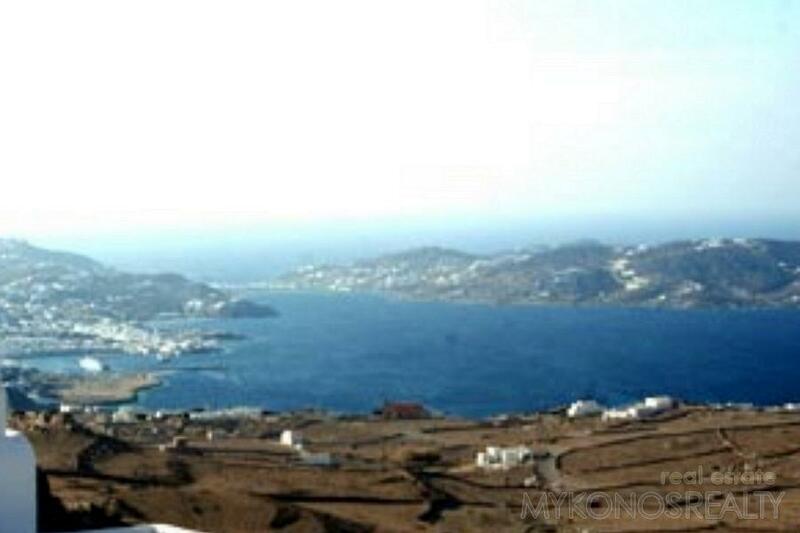 Luxurious and newly built villa 250sq.m on plot of land 4.000sq.m with fantastic unobstructed and panoramic view 360ο to Mykonos Town, the Aegean Sea and its islands, Delos and the magic sunset. 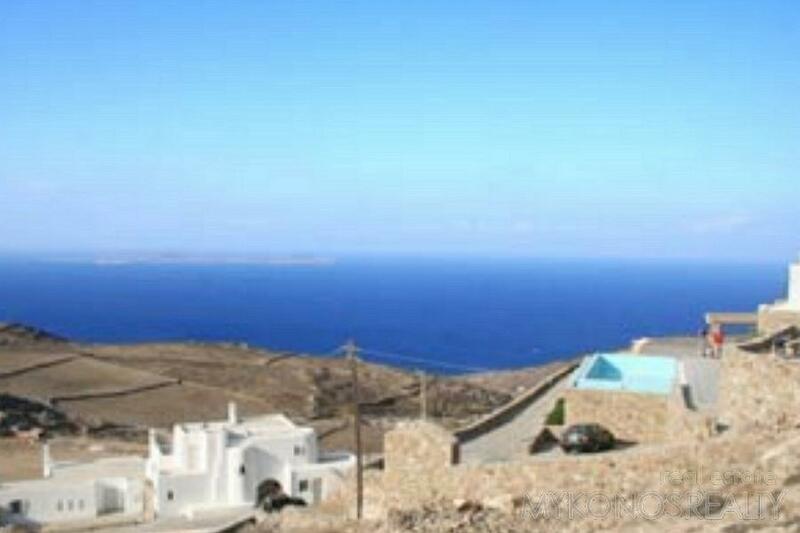 The villa is situated near the ancient Castle only 8' away from the New Port, 12' from the airport and Mykonos Town and 15' from the Southern beaches. There is a helicodrome next to the plot. 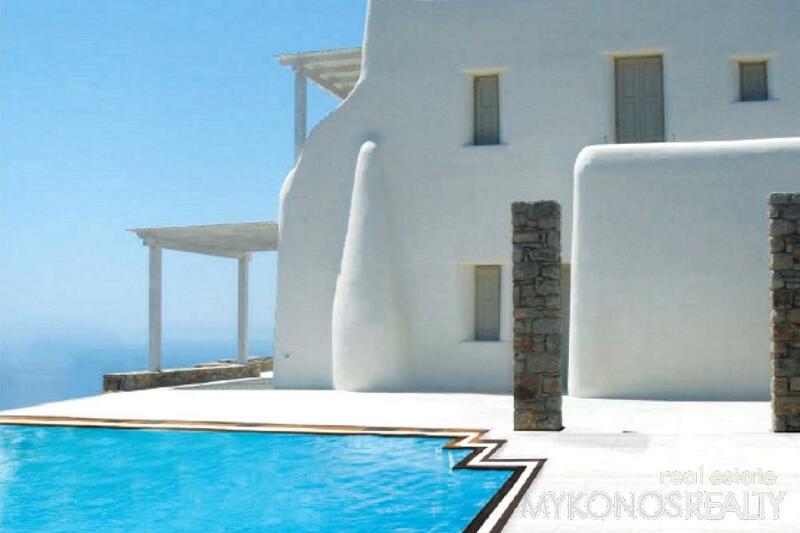 The villa is built according to the modern Cycladic architecture, very high quality with wooden Italian doors and windows, marble terrace floors of the famous marbles in Tinos island. Inside marble floors in living rooms matching to terraces and wooden floors in the bedrooms. 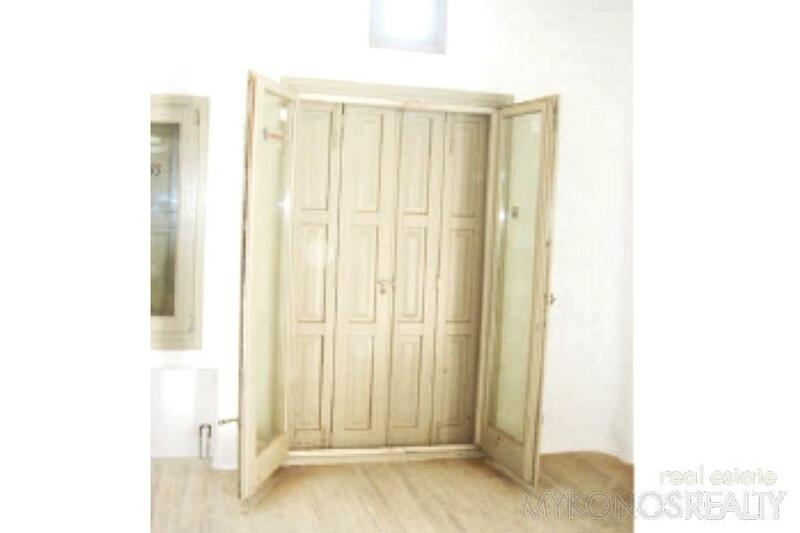 Wooden upper ceiling in all three floors made by natural wood. Extra insulation to floors, brick walls. Central heating with boiler system for hot water. Plan and pre-installation for alarm system and cameras, outdoor satellite antenna. 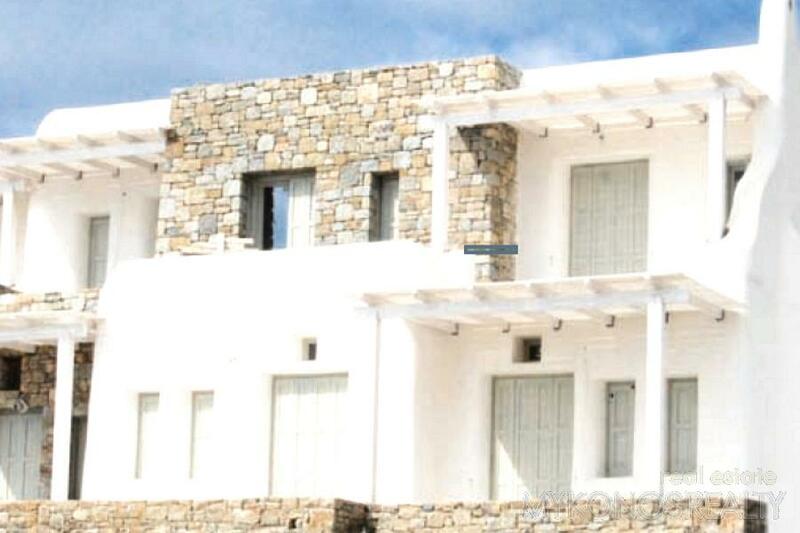 Built in three levels, the lowest level consisting of three spacious master bedrooms, each with its bathroom. 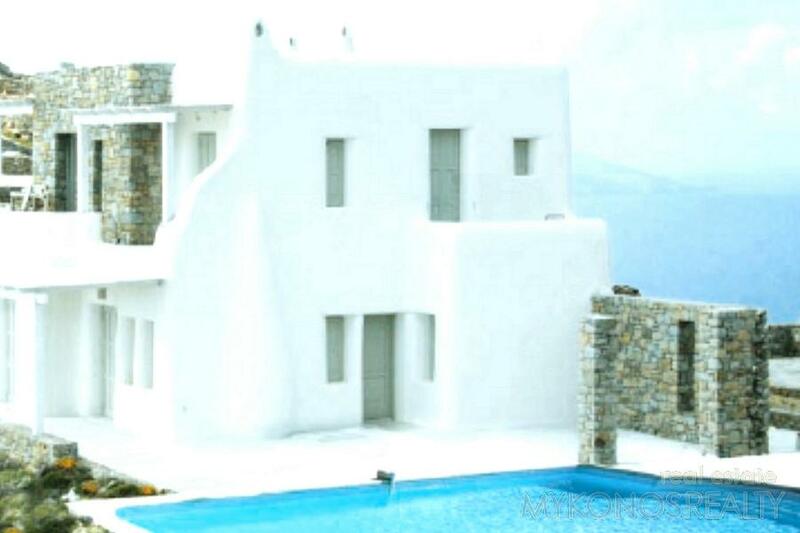 The middle level consists of an open-space room 95sq.m approx. and has a sitting/dining area, kitchen, WC. 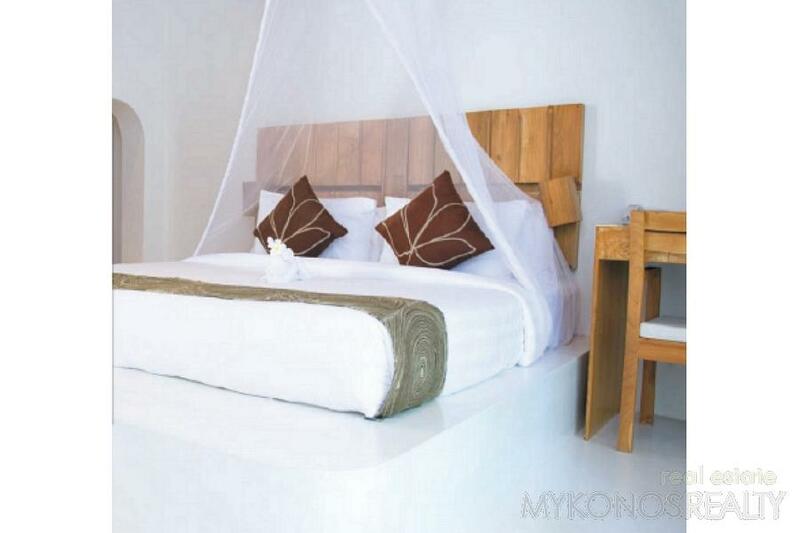 The upper level consists of 2 big master bedrooms, each with its bathroom. 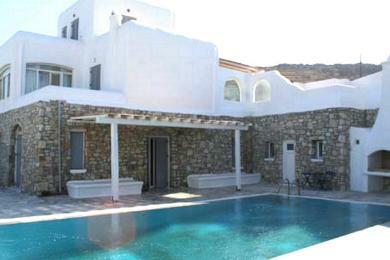 Overfloating swimming pool, garden, verandahs with pergolas, parking.